Approximately 30 million people in the United States suffer from rare diseases that may have a genetic basis, according to the Food and Drug Administration. Mayo Clinic Center for Individualized Medicine investigators are expanding their efforts to help these patients by participating in the Undiagnosed Diseases Network International (UDNI). This international research network is aimed at working collaboratively to help patients find answers and potential treatments for rare health conditions. Their goal is to compare cases globally and share information to reach new diagnoses and therapies. Dusica Babovic-Vuksanovic, M.D., and three of her colleagues from Mayo Clinic in Rochester, Minnesota – Eric Klee, Ph.D., Lisa Schimmenti, M.D., and Stephen Ekker, Ph.D. – recently attended the international conference at the invitation of William Gahl, M.D., Ph.D., who is head of the Rare and Undiagnosed Diseases Network at the National Institutes of Health, and Kenjiro Kosaki, M.D., Ph.D., of Keio University in Japan, member of the Board of Directors of the Undiagnosed Diseases Network International (UDNI) and lead organizer, the Fourth International Conference on Rare and Undiagnosed Diseases. Dr. Babovic-Vuksanovic explains the significance of being invited to attend the UDNI conference and the importance of the network’s mission. “In September, as a part of Mayo’s continuing contribution to the development of the UDNI, Dr. Gahl visited Mayo Clinic and provided an update on his program’s efforts. He also visited our clinic and was impressed by the multidisciplinary approach to evaluating and testing patients. All participating UDNI network members share their research data for the good of these rare and undiagnosed disease patients. By participating in this network, we are able to compare the genetic test results of our patients here at Mayo to other patients worldwide. 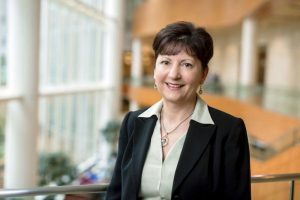 It will also help us better understand differences among populations, and we hope will lead to more answers for patients with rare conditions,” says Dr. Babovic-Vuksanovic, chair, Department of Clinical Genomics at Mayo Clinic in Rochester, Minnesota. 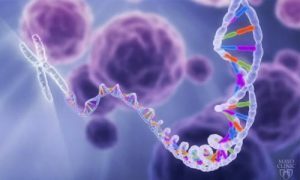 At the UDNI conference, the Mayo Clinic physicians and scientists presented an overview of their Individualized Medicine Clinic, the bioinformatics support for the program, and basic science and genomics research that support the DNA testing offered at Mayo. Mayo Clinic has a long history of seeing patients and their families who have searched for years, visiting many doctors and hospitals on a diagnostic odyssey to find answers. Many of these patients suffer from rare genetic conditions that often include severe, debilitating symptoms. New genomic technologies have increased the number of patients coming to Mayo to find answers. In 2012, the Individualized Medicine Clinic was established as part of Mayo Clinic Center for Individualized Medicine. Patients seen in the clinic have a full clinical evaluation and then undergo whole exome sequencing, a testing method that sequences about 3 percent of a patient’s DNA – the part in which the majority of useful genetic information is located. “Since opening the clinic, the number of patients seeking care has increased tremendously – from 20 patients in 2013 to 300 patients in 2016. While we are able to make a diagnosis for approximately 30 percent of patients, we are always looking for ways to improve and help even more individuals. Research collaborations like UDNI are a critical part of this effort,” says Dr. Babovic-Vuksanovic. Dr. Babovic-Vuksanovic and her colleagues plan to continue their participation and attend the next UDNI conference, which will be held in Sweden in August 2017. Dusica Babovic-Vuksanovic, M.D., is professor of Clinical Genomics and Pediatrics and director, Neurofibromatosis Clinic at Mayo Clinic. Eric Klee, Ph.D., is assistant professor of Biomedical Informatics and associate director, Bioinformatics Program for Center for Individualized Medicine at Mayo Clinic. Lisa Schimmenti, M.D., is a professor of Pediatrics and senior associate consultant in Otorhinolaryngology (ENT) and Clinical Genomics at Mayo Clinic. Stephen Ekker, Ph.D., is professor of Biochemistry and Molecular Biology at Mayo Clinic. Information on the number of people with rare genetic diseases was obtained from the Food and Drug Administration blog.